Congratulations to all the newly engaged couples! We wish you much happiness and a joyful, fun wedding planning experience! 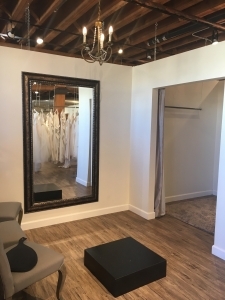 When you are ready to shop for your dress, book an appointment at Miss Ruby Bridal. 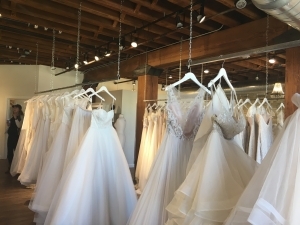 Located in the Pritzlaff building in the Third Ward, the beautiful store offers a wide selection of dresses and exceptional, personalized customer service. I love this store for many reasons! First, everyone I have met has been so friendly and welcoming each time I have been in the store. I think that is very important when choosing a dress – you should feel relaxed and comfortable. Secondly, the store is beautiful. A large, open space allows plenty of room for many, many dresses and space to try on with family and friends. To ensure your satisfaction and helping to find the perfect dress, Miss Ruby Bridal requests that future brides book an appointment. Appointments are 90 minutes and can be booked online. Check out the events page on the website. 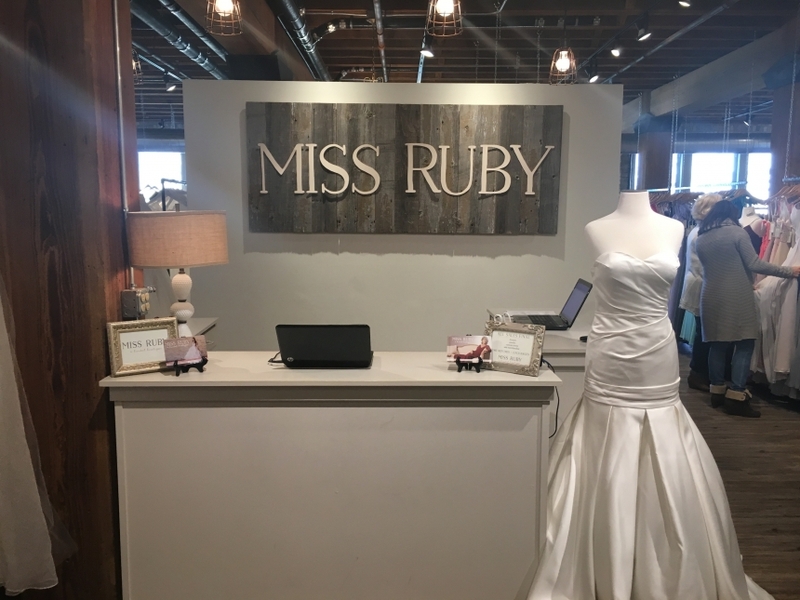 Miss Ruby Bridal hosts special events and promotions in the store, including a special December promotion for brides, “Buy a Gown, Get a Gift!” During the entire month of December, every bride who says “Yes!” to a bridal gown will receive a great gift! Will it be extra $$$ off your gown? Savings for your bridesmaids? A discount on your veil or other accessories? Fun! On December 1st, Miss Ruby Bridal will host a High School Shopping Party for Prom and Graduation. They also recently hosted a Mother-of-the-Bride Dress event. Love the special attention! Lastly, and the most important are the beautiful dresses! 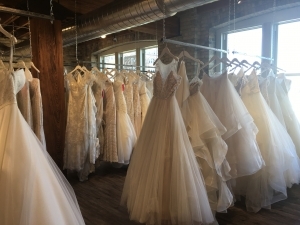 Miss Ruby carries designers that aren’t featured in any other Milwaukee bridal shops, including Robert Bullock, Mikaella, Alyssa Kristin, and more. I suggest following their Instagram to see the detail and many styles of dresses they offer. 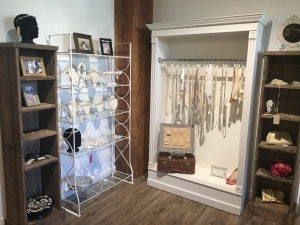 Miss Ruby Bridal is a definite stop in the wedding planning process and a place to find your perfect dress and accessories. Cheers to you and a beautiful wedding! Miss Ruby Bridal is located in the Pritzlaff Building in the Third Ward. 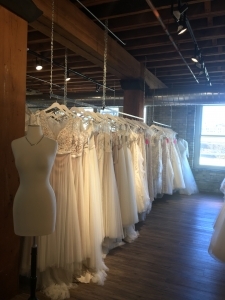 Miss Ruby carries designers that aren’t featured in any other Milwaukee bridal shops, including Robert Bullock, Mikaella, Alyssa Kristin, and more. Book an appointment online to try on dresses with the help of a Miss Ruby stylist. ← Buy Local Gift Fair is Sunday!